Datomic's data model - based on immutable facts stored over time - enables a physical design that is fundamentally different from traditional RDBMSs. Instead of processing all requests in a single server component, Datomic distributes transactions, queries, indexing, and caching to provide high availability, horizontal scaling, and elasticity. Datomic also allows for dynamic assignment of compute resources to tasks without any kind of preassignment or sharding. These resources are retained even when no computational resources are active, so you can shut down all the active elements of Datomic while maintaining your data. 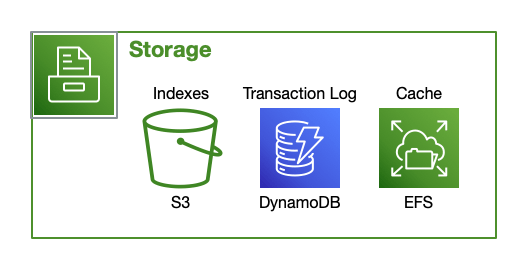 Datomic leverages the attributes of multiple AWS storage options to satisfy its semantic and performance characteristics. As indicated in the tables below, different AWS storage services provide different latencies, costs, and semantic behaviors. This multi-layered persistence architecture ensures high reliability, as data missing from any given layer can be recovered from deeper within the stack, as well as excellent cache locality and latency via the multi-level distributed cache. a primary compute group dedicated to transactions, indexing, and caching. The specific composition of the primary compute group is determined by your choice of Topology: either Solo or Production. The Datomic programming model is entirely the same in both Solo and Production Topologies. 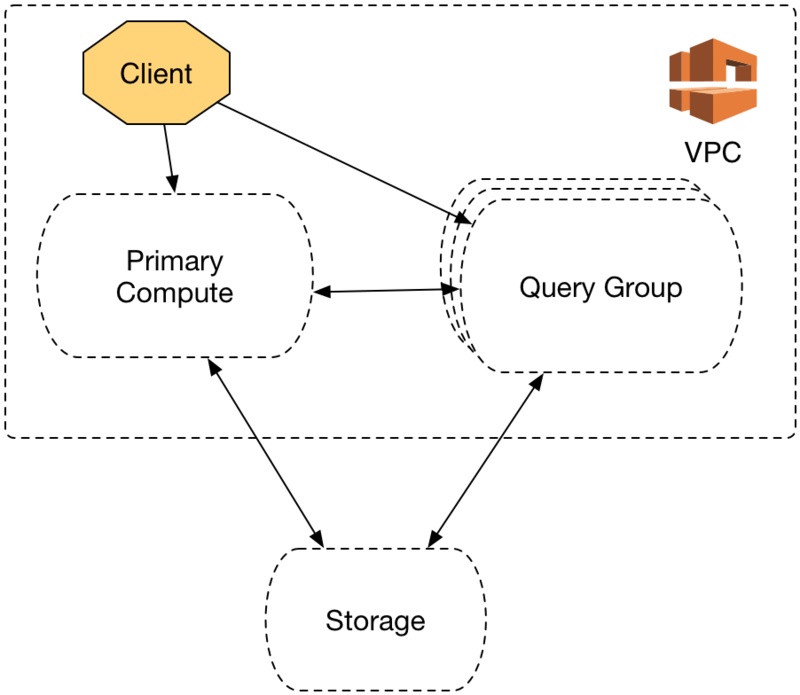 The Production Topology also allows for the addition of optional query groups. Client code does not know or care whether it is talking to the primary compute group or to a query group. Query groups read Datomic data at memory speeds, just as the primary compute group does. A Datomic ion is your application code, plus a tiny amount of configuration. The push operation creates a revision, packaging your ion so that is ready for reproducible deployment. The deploy operation create a deployment, installing a revision onto a compute group. All authorization is performed using AWS HMAC, with key transfer via S3, enabling access control governed by IAM roles. 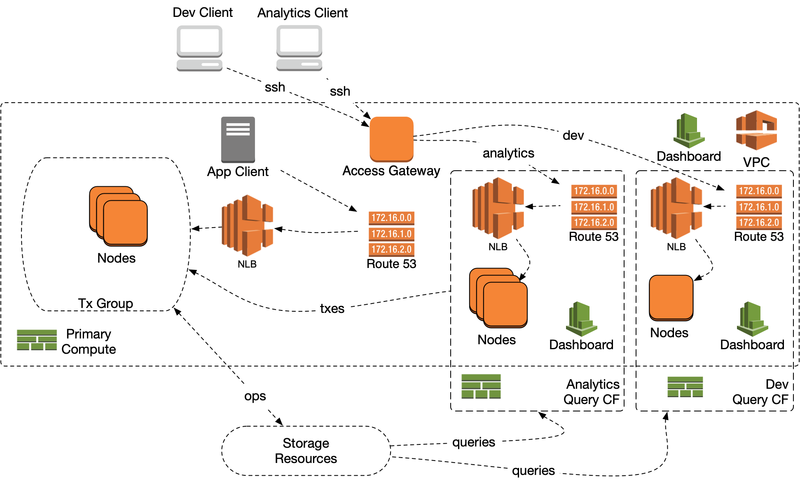 All data in Datomic is encrypted at rest using AWS KMS. 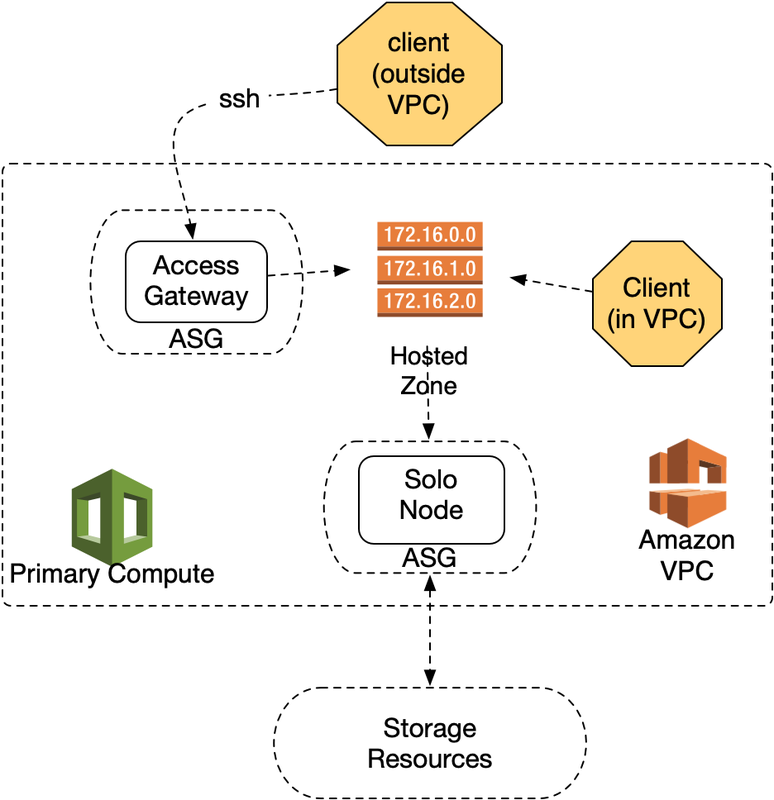 All Datomic resources are isolated in a private VPC, with optional access through a network bastion. EC2 instances run in an IAM role configured for least privilege. For security, Datomic nodes all run inside a dedicated VPC that is not accessible from the internet. To provide e.g. developer access to a system, you can configure a bastion server that is open to a range of IP addresses outside the Datomic VPC, forwarding traffic to Datomic nodes.